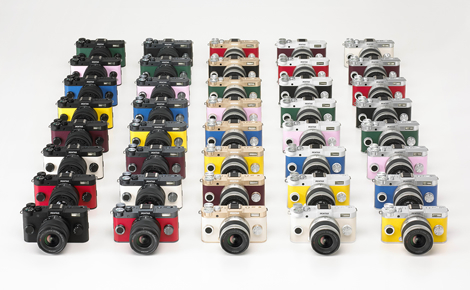 A choice of 40 fashionable color combinations to personalize your PENTAX Q-S1. Versatile lens-interchangeable system, to assure the optimum perspective and desired. If you want to preserve the precious moments unfolding before you in beautiful images, the super-compact PENTAX Q-S1 is the perfect choice because it’s easy to carry on every outing. Its classic, refined design suits all occasions in your life, while lens interchangeability extends the boundary of creative expression beyond your expectations. The PENTAX Q-S1 adds new discoveries and inspirations to your daily photography. 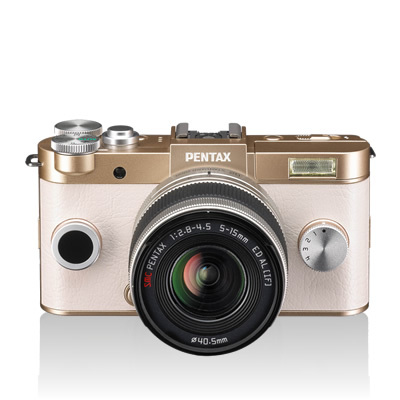 The PENTAX Q-S1's super-compact body is perfect for carrying around. Complemented with a smooth yet durable synthetic-leather front sheet and high-grade metallic parts, it is designed to be both classic and functional. The PENTAX Q-S1 delivers the two most distinctive benefits of a lens-interchangeable digital camera: exceptional image quality and outstanding operability. An array of shooting functions, including Digital Filters and Smart Effects, add creative flexibility. 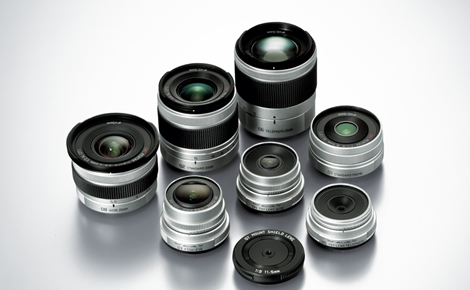 The PENTAX Q-S1 optimizes the benefit of lens interchangeability, by accepting a selection of interchangeable lenses — both in the High-Performance lens series with top-grade optics and in the Unique Lens series with unique perspectives and specialized applications.